Apple boots Monster out of its 'Made for iPhone' programme | What Hi-Fi? Monster has announced a new cable to get around having its licence revoked. The Monster 3-Button Universal Control Talk cable can be used with both iOS and Android devices, and allows users to control volume, play/pause tracks and take hands-free calls. Head Monster Noel Lee said of the new cable: "The issue of needing to match headphones with a limited number of compatible phones is very real." "We have virtually eliminated this problem with the Monster 3-button UCT cable, which is truly universal and compatible with more phones than any other ControlTalk platform on the market, including Apple’s"
The Monster 3-Button UCT cable will be available on selected Monster headphone models from July. This drastic move comes after months of arguing between Monster and Apple-owned Beats. In the years before Apple's $3 billion dollar takeover, which Monster CEO Noel Lee in an interview with What Hi-Fi? described as the "steal of the century", Monster and Beats had been partners until they went their separate ways in 2012. 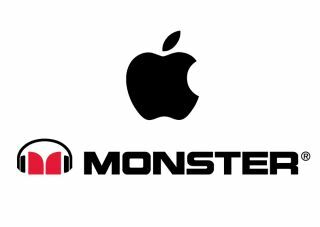 Monster claims that it has lost out on significant sums of money due to the dealings of Beats founders Jimmy Lovine and Dr Dre, and the company filed a lawsuit against Beats back in January of this year. In an interview with the The Wall Street Journal, Monster's lawyer David Tognotti said, "it shows a side of Apple that consumers don't see very often - Apple can be a bully." The 'Made for iPhone' programme gives manufacturers all the "components, tools, documentation, technical support and certification logos needed to create AirPlay audio accessories and electronic accessories that connect to iPod, iPhone and iPad." Now that permission to be in the 'Made for iPhone' programme has been withdrawn, Monster will have to redesign some products that use technology licensed from Apple. It can continue to sell current 'Made for iPhone' stock up to September, but any new products won't be able to carry Apple's mark of approval. None of this prevents Monster from making products that will work with the iPhone, but the company will no longer be able to use the term - or, more importantly, show it on its packaging. Only time will tell whether this has a negative impact on sales.